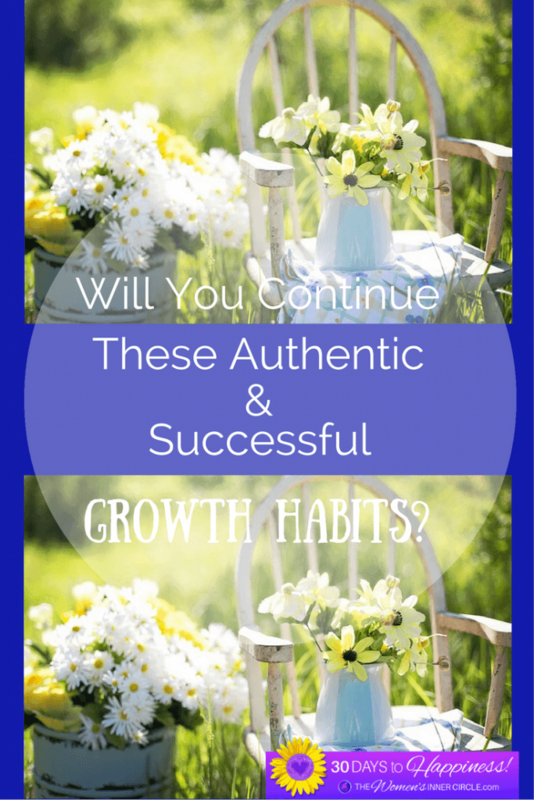 You have been learning about successful growth habits for the past month. Time does fly when you are working on something so diligently. 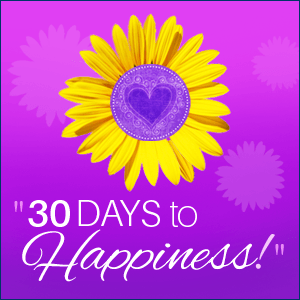 It is hard to believe it has been 30 days since we started this Happiness Challenge together. You’ve read a lot of information that will give you the tools you need to improve your mood, your gratitude and your Happiness in general. If you have been taking this to heart and working with the information, I’m sure you’re seeing a lot of progress and personal growth. Your Own Personal Happiness List ~ What Makes You Happy? Consider all of the above ~ tips, tricks, strategies, information ~ to be tools in your happiness belt. This way you keep all your successful growth habits close by. Pull them out often for review and use them when you need to. My suggestion is that you go through the list 3 more times ~ read the articles and implement (3 more months). Remember ~ studies have shown that it takes 30 days to change a behavior and 90 days to make it permanent. Take that extra month to really cement all your new and successful growth habits and behaviors. I hope you’ve enjoyed this challenge, have found some tools, techniques, tips, and ideas that have begun to help you increase the Happiness in your life. It’s amazing what will happen when you start to become aware and mindful of how you feel, and do what you can to increase your happiness and that of those around you. Where do you go from here? You keep implementing and continue to practice being happy regularly. Remember the Happiness Journal I talked about back on day 17? It’s an excellent tool for you to use to keep yourself on track and move forward for more happiness in your life. Keep coming back to these articles as needed ~ click HERE for all Happiness articles. Above all, keep learning, keep smiling, and keep growing your joy and increasing your happiness.